Today I am very happy to welcome author Alyssa Sheinmel to the blog. Her realistic fiction books always grab me so when I was offered the opportunity to speak with her, I jumped on it. 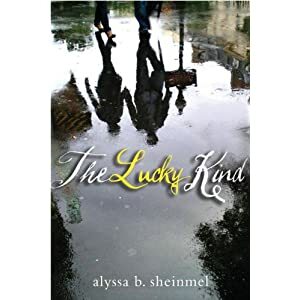 Her new book, The Lucky Kind is the story of Nick, a teen in New York who’s world is turned upside down when he learns that his father had a son whom he gave up for adoption. Suddenly, Nick doesn’t know who he is, and if he can trust his parents. Thanks so much for agreeing to be interviewed at thereadingzone, Alyssa! I read and loved The Lucky Kind and I can’t wait to share it with my high school students. When you first got the idea for The Lucky Kind , what came first? Did characters come to you first, or was the concept/plot the first thing? Well, first and foremost, thank you for reading and for sharing it with your students! I’m thrilled that you like the book. The idea for this story had been percolating in my imagination for a while before I sat down to write it. From the beginning, I knew I was going to tell the story of someone on the periphery of adoption; not the person who gives up a child for adoption, and not the person who was given up. The story in my head was of a boy just outside of the experience of adoption, but who was nonetheless deeply affected by it. As far as Nick’s character, I didn’t really get to choose it; as The Lucky Kind took shape in my imagination, Nick’s voice – and through it,his character – came right along with it. It was always Nick’s story. The Lucky Kind and your previous book, THE BEAUTIFUL BETWEEN, are both set in New York City. What made you choose NYC as your setting? I’m a big fan of writing what you know – or at least, writing some of what you know – so I always try to ground my stories in real details. For me, that meant placing The Lucky Kind in New York City. That’s where I went to high school, and those are the restaurants and movie theaters that I grew up going to, the subway I grew up taking, the streets I walked with my friends. That’s not to say I’d never write a book that takes place anywhere else. (I hope that I will!) But New York seemed like the natural setting for this story. What is your routine like? Do you write everyday? Do you have a specific writing schedule? I don’t write every day. Right now, writing fits into my life in bits and pieces – I fit it in around my day job, around walking my dog, even around silly things like the TV shows I want to watch and the friends I want to meet for dinner. So, I’m pretty flexible when it comes to when I write; though my favorite time to write is in the morning. Somewhere in between. I don’t outline, but I do make a lot of notes, from the minute I get an idea for a story. I generally begin with an idea about where my story is going to start, and where it will end, and a few of the plot points in between. But as I write, some of those plot points are almost always abandoned in favor the ones that manage to pop up along the way. Your books are so perfect for teens of both genders. What inspired you to write for teens? And the most important question- what is your favorite go-to snack when you are writing? Does gum count as a snack? I chew a lot of gum while I write. Sometimes I can’t start working until I have a piece of gum in my mouth (though I spit it out after about 60 seconds). Thanks so much, Alyssa! Readers, be sure to pick up a copy of her new book, The Lucky Kind , in bookstores today! It’s fantastic and you can count on a review very soon. 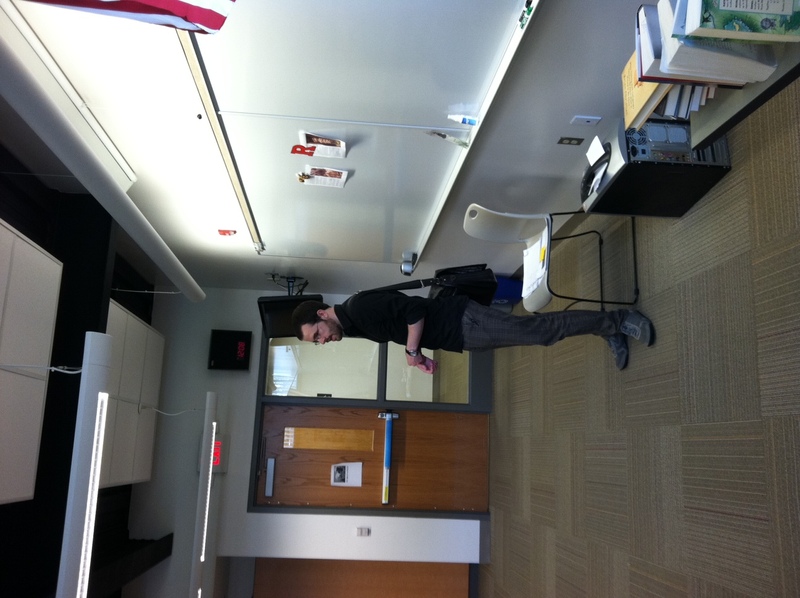 Last Tuesday, my students were thrilled that Brian Christian, author of The Most Human Human: What Talking with Computers Teaches Us About What It Means to Be Alive and 2002 alum, came by for an author visit. Brian is an old friend and I am so grateful that he was willing to give up a day and head back to his old stomping grounds to talk about his book and being an author. Brian spoke to the freshman for about 40 minutes, and they were rapt with attention. They later mentioned that he never spoke above conversational volume, yet no one ever had to strain to hear him. He never raised his voice and no one spoke over him. I was proud of my kids, but even prouder of Brian. He was a fantastic speaker and I looked around the room to see my students constantly mouthing, “Wow!” as he shared anecdotes about his time studying for the Turing test. After speaking about his book, Brian took questions from the students. They had fantastic questions and both he and I were very impressed. A nice number of them had picked up the book on their own and read it and they asked some great, intelligent questions. I think some of them would have loved to talk to Brian all day! But alas, the bell rang for lunch. Yet a lot of students stuck around- a few brought their copy of his book up to be autographed and to continue their conversations. Suddenly, a few of my freshman girls came rushing out the open computer lab clutching printouts of Brian’s author photo. They shyly thrust it towards him and asked for an autograph. I couldn’t help but laugh. “I guess that’s not something you get at every reading, huh?” I asked him. He laughed and signed the photos. The perils of teenage girl fans, eh? After lunch, Brian kindly stuck around for an informal 25-minute chat with my seniors. He talked a lot about the importance of following your passion and majoring in what you love and enjoy, trusting that a job will be there when you are done. (He double-majored in computer science and philosophy, following that up with an MFA in poetry!) I think that is such an important idea for kids to hear and I was so glad he took the time to share his experience. Again, he took questions from the students. One student raised his hand, asking if Brian was familiar with Megaman. Brian laughed, and said of course. The student then went on to explain that he is seriously interested in sentient robots and asked a great question pertaining to AI. After the presentation, that same student walked up to Brian and asked to shake his hand. “Thank you so much for taking my question seriously. 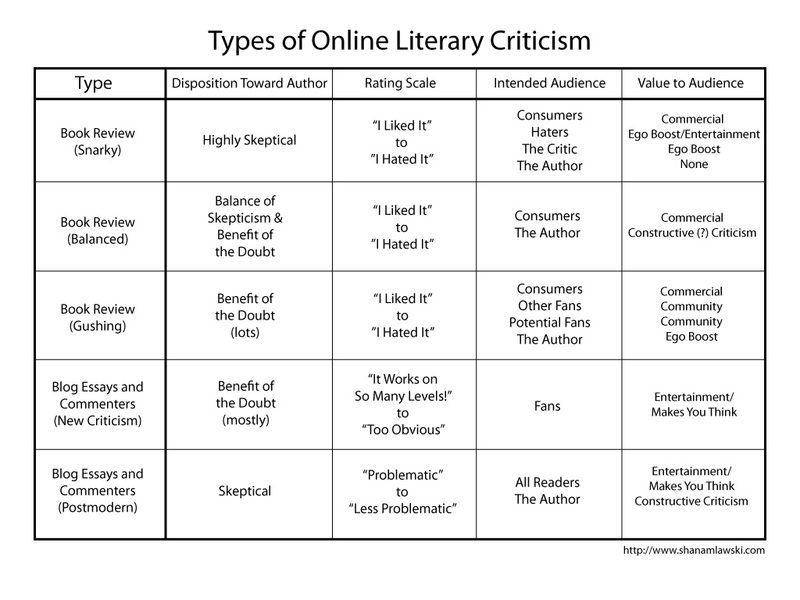 This is something I genuinely want to study and most people tend to laugh me off. So I just wanted to express my gratitude to you.” How awesome is that? Having Brian come back to visit was fantastic. He is a real-world example of what my colleagues and I work so hard to express to our students- life isn’t a box. You are never “just” an engineer or “just” a sales manager. Every occupation involves many different disciplines. It’s why we work so hard to combine Biology, Software Apps, English, and History. No man is an island, and no subject is either. Brian is a poet, a science writer, a philosopher, a teacher, a student, an author, and a computer scientist. We all need to follow our passions and create something in our lives that we are proud of. Lesley M.M. Blume is Here! Today I am so excited to welcome Lesley M.M. Blume to the blog! One of my favorite authors, I was lucky enough to hear her speak at a publisher’s preview a few years ago. Her Tennyson is one of my top five favorite books (ever)! When I was given the opportunity to join her blog tour for Modern Fairies, Dwarves, Goblins, and Other Nasties: A Practical Guide by Miss Edythe McFate, I jumped at the chance to pick her brain. 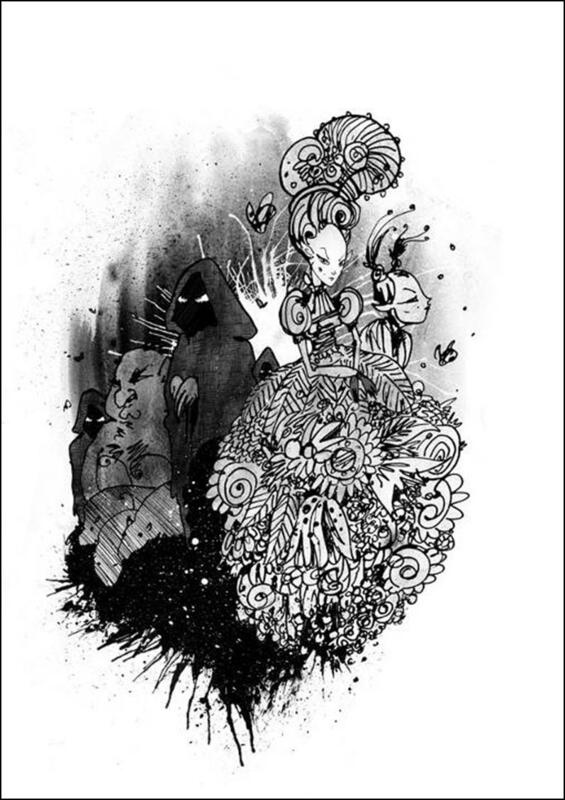 Modern Fairies, Dwarves, Goblins, and Other Nasties: A Practical Guide by Miss Edythe McFate is different from your other books for children as it is a collection of short stories, rather than a novel. 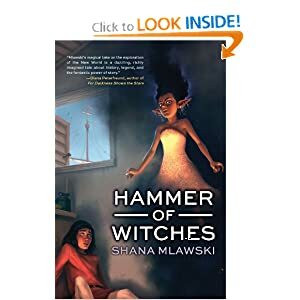 How was your writing process different for this book? It actually wasn’t hugely different. With novels, I handwrite the elements of each chapter while sitting at my favorite neighborhood café – always with my special fountain pen in a red leather notebook — and then I go home and write it up on my laptop. In the case of MODERN FAIRIES, I’d map out each short story and follow the same process. What was different was being able to create and concentrate on a different setting and set of characters each time around – it was very liberating and fresh. Short stories seem to be a dying genre for children, outside of textbooks and the occasional children’s magazine. What inspired you to publish this collection? Well, if you think about it, short stories should be more relevant than ever. Much has been written about the so-called waning of attention spans of the digital generation, so short stories should be more in demand than ever. I personally loved short stories as a kid; one of my favorite children’s books – The Devil’s Storybook by Natalie Babbitt – was a short story collection, and as a writer, I was simply ready to throw my hat into that ring as well. Were you well-versed in fairy stories as a child? Were you one of those children who was able to see magic in life- fairies in the flowers, hobgoblins guarding the George Washington Bridge , etc? Yes – absolutely. I read everything on the topic, and it was a great joy to revisit these tales years later while I researched MODERN FAIRIES. I spent hours in our backyard, looking for fairies, “ringing” lily of the valley buds to lure the creatures out of hiding. We had a dark circle of grass in the yard; my mother told me that it was a fairy ring and as a result had to spend many midnight hours chasing me out of the “ring” and back up into my bedroom. Do you have the same writing routine whether you are writing for children or adults? You know – I just realized that I have a different approach for the respective age groups. For adult non-fiction especially, I rarely handwrite the elements first. It just goes straight into laptop. So funny. I wonder why. What do we have to look forward to next? Are you currently working on anything for children or teens? I’m currently working on another collection of very short stories about the ancient animal world: another fantasy- and mythology-oriented work. It’s quite delightful and bizarre – my illustrator David Foote and I are sort of inventing a new genre and format as we go along. It’s not *quite* a short story collection; nor it is a literal guidebook. It’s novel-like, in that it follows the adventure of a single protagonist over many years. I’ll be curious to see what everyone thinks of it when it hits shelves in 2012. Wow! I can’t wait to read what you have coming up. I always look forward to your writing and I am so glad you could stop by today. 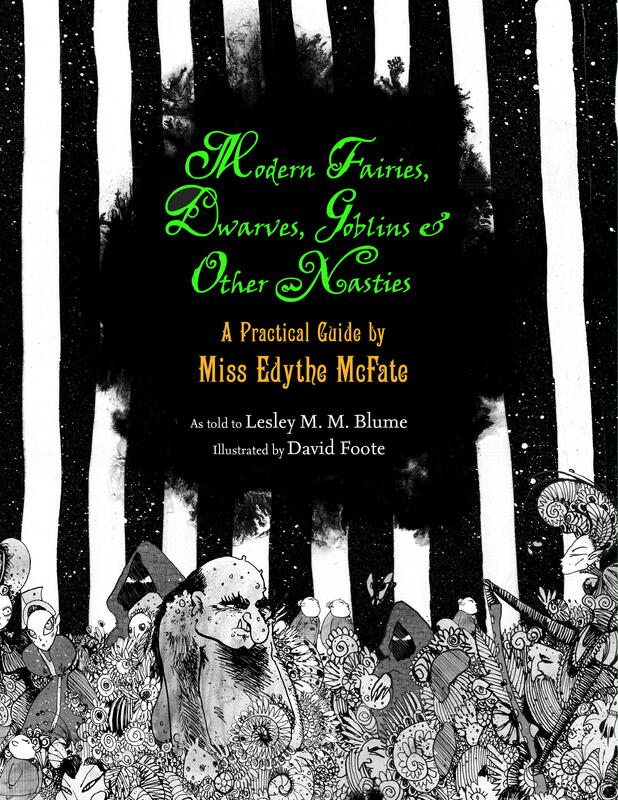 Modern Fairies, Dwarves, Goblins, and Other Nasties: A Practical Guide by Miss Edythe McFate is the perfect holiday gift for that middle grade reader in your life. Pick up a copy today! So sad that I can’t make it to this event, but hopefully you can! Courtney Sheinmel and Regan Hofmann at at the National Arts Club, 15 Gramercy Park South (20th St. between Park & Irving Place), New York City on Tuesday, Oct 12th, 8 p.m, for a reading/discussion/signing. Reading, Discussion & Booksigning. Authors Regan Hofmann and Courtney Sheinmel share stories of hope, redemption and the liberating power of the written word. In 1996, Regan Hofmann became an unexpected symbol of HIV: a young, well-to-do, white woman. For a decade she kept her status secret. But Regan, a journalist by trade, knows secrets and stigma can kill, and sharing personal truths can unite people and save lives. In 2006, she became editor-in-chief of POZ Magazine, putting herself on the cover. Her memoir, I Have Something to Tell You, chronicles her journey, and was praised by Kenneth Cole as “insightful and inspiring.” Young adult author Courtney Sheinmel was thirteen years old when she began volunteering for the Pediatric AIDS Foundation, after reading an article about Foundation co-founder Elizabeth Glaser. Courtney’s critically-acclaimed novel, Positively, follows a seventh grader living with HIV and was hailed by Publishers Weeklyas “wrenchingly authentic and quietly powerful.” The book was inspired, in part, by her relationship with the Glaser family. She’s also the author of My So-Called Family, Sincerely, and the upcoming All the Things You Are. I have read and loved all of Courtney’s books (Positively, My So-Called Family). A few months ago we connected on Twitter because we both have experience with Elizabeth Glaser. Courtney is extremely involved in the Elizabeth Glaser Pediatric AIDS Foundation and I performed Glaser’s famous speech from the 1992 Democratic Convention when I was on my middle school forensics team. I so wish I could make it to this event, but it’s too difficult on a weekday. I’m just too exhausted lately! But you should go and tell me all about it! Pictures and video of Regan and Courtney speaking together in January at Housing works.